The story goes that a long long time ago (some 20-or-so years), a man by the name of Hironobu Sakaguchi was losing his life savings on his video game company. 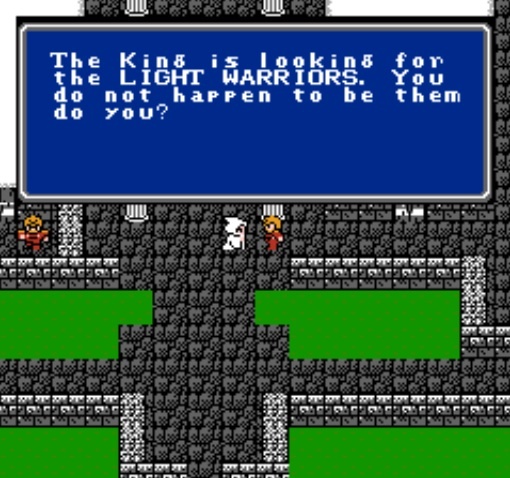 He decided to produce one final game before shutting down, settling on the title Final Fantasy. So let's move on to 1990 when the game hit the shores of the United States on the NES. 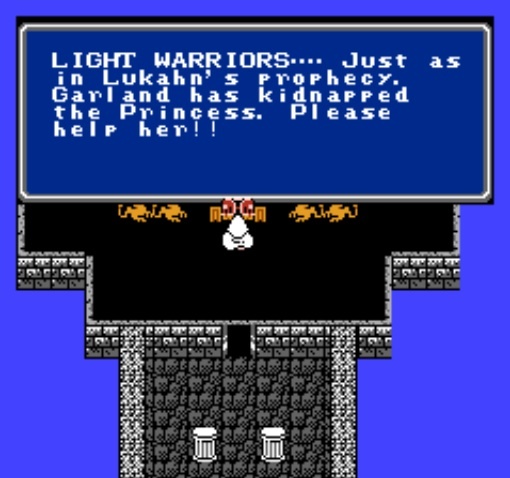 I recall reading an issue of Nintendo Power and seeing this game, thinking, "oh look -- a Dragon Warrior rip off." However the graphics BLEW MY MIND! 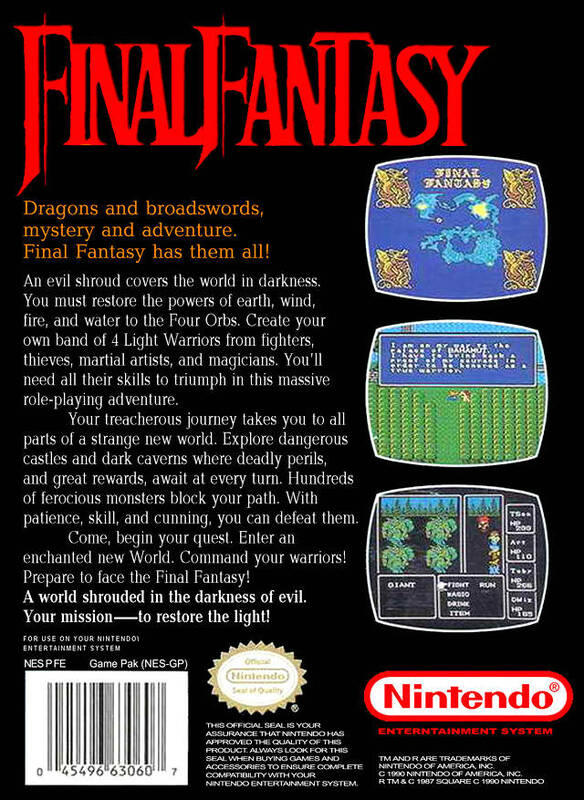 Each issue they would build on the information released about the game, teasing out the details. This is one of only a few games I have ever bought on launch. I wasn't very old at the time, and I remember my friend bought it at the same time. We raced to see who could beat the game first and who could find what items. We had sleepovers in which we also began working on each other's game. We'd dress up like our characters and run around the house at 1 in the morning, waking everyone up (yes, we were 10(-ish) year old nerds). Then before we knew it the strategy guide landed in our mail boxes and the thing looked like it had been eaten by ravage dogs within days. 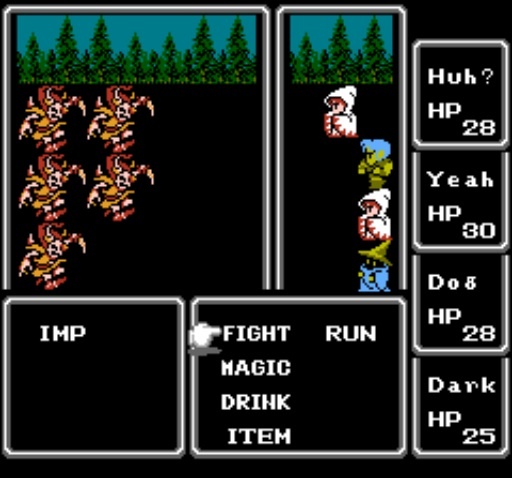 We would try to beat the game using crazy parties like 3 white mages and a Thief or Fighter. Before we knew it, we could walk through the game in a matter of hours. Ahhh, good times. 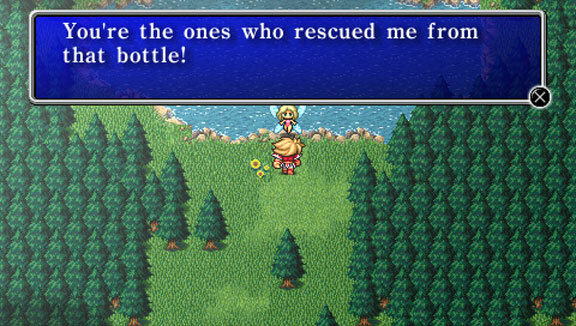 But I digress to the importance of this game on the RPG world. Over the years, this game has been rehashed in version after version then sequel after sequel -- the main series has just reached number fourteen, while the original game has received several enhanced remakes. How long will this grand franchise that was supposed to be the last stand of a video game company last? How many more spinoffs consisting of characters from the franchise will be done? Only time can tell. 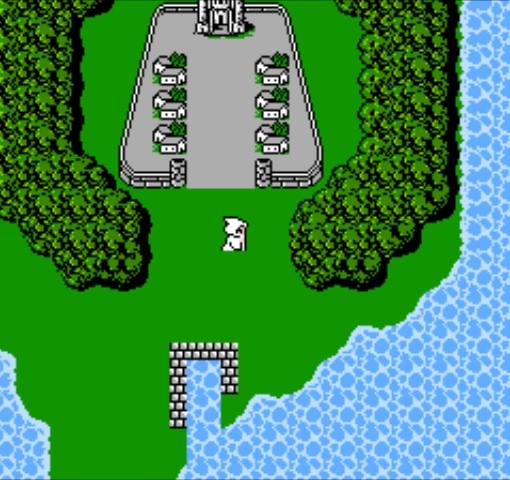 The graphical differences between the NES original and PSP remake are certainly substantial. 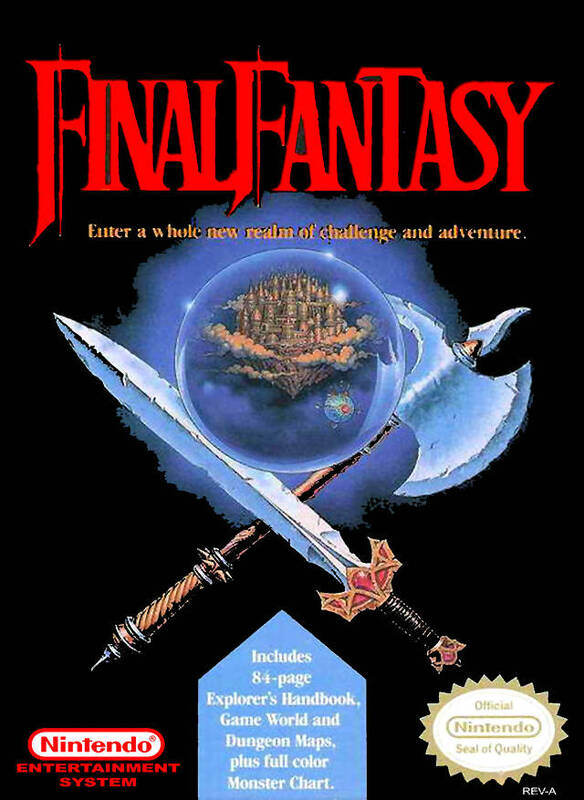 I'd like to ask you, readers, what your favorite version of THIS game is? For me it's the 20th Anniversary Edition on PSP. It has by far the best graphics and sound, plus extra dungeons. What is the hardest group you've beaten the game with? I put it out there, let's get some talk going. Check out these links for some additional media.